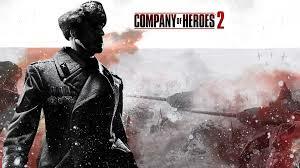 Many of us have been waiting very patiently for Company of Heroes 2. The original Company of Heroes was a smashing success, and a very well received military RTS. Well, good news to those of us who want to get a leg up on the competition. Relic has sent Company of Heroes 2 into the open beta phase in order to get ready for the imminent release date of June 25th. The beta will last until June 18th, and it is available to all Steam members. To find it, simply take a look at your game library, where it should appear to download. The open beta is strictly a multiplayer affair, allowing players to experience both competitive and cooperative gameplay across six different maps. The open beta will also allow players to test out up to 45 levels of the bulletin and progression system. Perhaps the best part about the open beta is that players will be able to retain all progression and unlocks from this time period should they purchase the game (within the first 60 days of launch, provided they play it on the same Steam account). The team at Relic is quite proud of their latest RTS epic, with producer Greg Wilson having the following to say: "We have been working hard since the Closed Beta balancing and improving all areas of the game as well as adding new matchmaking servers. COH2 has had one of the most successful Beta programs we've ever run at Relic and the support of the fans has been a critical factor in making the game more balanced and stable for launch." Company of Heroes 2 will launch at the end of the month on June 25th. It will feature cooperative play between two players, both online and via LAN.